Scattered thunderstorms during the evening. Cloudy skies after midnight. Gusty winds and small hail are possible. Low 43F. Winds NNW at 10 to 20 mph. Chance of rain 40%.. Scattered thunderstorms during the evening. Cloudy skies after midnight. Gusty winds and small hail are possible. Low 43F. Winds NNW at 10 to 20 mph. Chance of rain 40%. Iowa's Brandon Smith makes a touchdown grab against Maryland last season. Who is going to fill the void in the passing game created by the loss of All-American tight ends T.J. Hockenson and Noah Fant and slot receiver Nick Easley? That trio wrapped their arms around 140 of the 242 passes Iowa completed last season and the Hawkeyes are spending plenty of time this spring working to develop connections to help Nate Stanley continue to move the offense forward. The inexperience Iowa had at the receiver position a year ago tilted the passing game in favor of a pair of tight ends with exceptional hands, providing Smith and Ihmir Smith-Marsette time to settle into expanded roles as sophomores. They combined to catch 51 passes during the Hawkeyes’ 9-4 season, experience Smith believes has them ready to take on even more of the workload next season. The emergence of two redshirt freshmen during spring practices is growing the list of possibilities. Nico Ragaini, a 6-foot, 192-pound Connecticut native who is participating in his second set of spring practices at Iowa after enrolling in January 2018, and Tyrone Tracy, Jr., a 5-11, 200-pound Indiana native, each caught one pass for Iowa last fall before redshirting. Things have gone so well Tracy gave himself the nickname “Sweet Feet,’’ a few days ago. Smith didn’t let it stick. 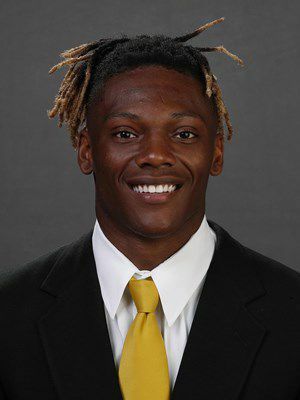 That’s one debate Iowa receivers coach Kelton Copeland is staying out of, but he agrees with Smith’s assessment that Ragaini and Tracy are positioning themselves to potentially be among Stanley’s top targets next fall. He said both have made big strides this spring, saying they both have a natural feel for the position and have displayed a willingness to put the work in needed to improve. He sees a lot of the same in Ragaini. Both are working their way into Iowa’s plans for the fall. INJURY UPDATE: Two Iowa seniors, Amani Jones and Colton Dinsdale, will miss the remainder of spring practices because of injuries. Jones, a linebacker competing as a defensive end this spring, is out with an ankle injury but should return in time for summer workouts while Dinsdale, a walk-on linebacker from Reinbeck, will be sidelined throughout the upcoming season because of a knee injury.